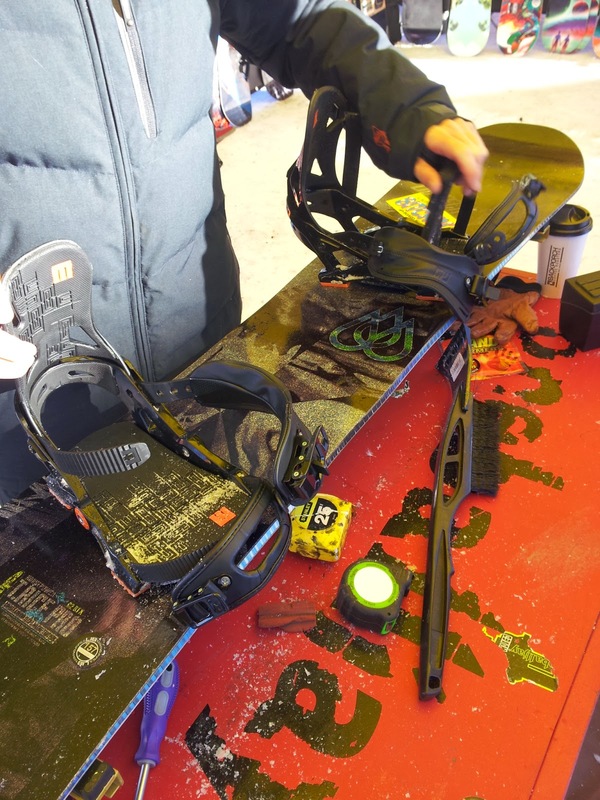 Over the past few years, no company has made more noise in snowboard bindings than Now. Their Skate-Tech kingpin and hanger design promised a revolutionary ride. Last year I got a chance to demo a pair of Now Drives with the thought to do a long-term review. Are they revolutionary or just hype. Now that I've had them for over a year, it's time to offer a verdict. First off, Now has changed plenty of features from the bindings I'm talking about to their current year's offering. Plenty has remained the same, too. I'm going to try to speak to those things that are similar. Keep in mind that my pair is from the 2013/2014 season, though. A top-down look, but it's not a convertible. Overview: The Now Drive is billed as an all-mountain freeride binding. This is an apt description. It's stiffer than average without being uncomfortable. I'd call it 7 out of 10. This comes with great response and dampness. Out of the box, it takes a little longer than average to set up, but that is owed in part to it's vast adjustability (see below). Forward lean, straps and the footbed are all tool-free. Durability: I got this pair of Drives in October 2014 and they already had some wear on them. I don't know how much, but I personally put them through about 40 days on-hill. Through all that, they held up perfectly. I have no complaints from the kingpin-and-hanger assembly, nor from any of the other parts. There was no breakage and very little wear. The one thing I did notice was some stripping of the hardware screws. I'd attribute this to them being demo bindings and getting remounted so frequently. In a single-owner situation, they would do better. Adjustability: This is the one area I'm surprised people don't talk about more with Now bindings. I know, the Skate-Tech is the big talking point, but the number of different configurations this binding can go through is staggering. Let's break it down a little. You can go with the hard or medium bushings (more on that later), with or without highbacks and high or low ankle strap. Also, since there are four bushings per binding, you can change them all out individually. I've been riding hard bushings under the heels and medium under the toes for an asymmetrical feel on my otherwise symmetrical board. If you want the soft bushings, you can order those, too. Want a feel for more lateral flex? Put the soft bushings under the outside of your bindings and the hard on the inside. Three different hardnesses under eight different contact points gives you something like 6561 different combinations of bushings. I dare you to try them all. Switch 'em up 'til the cows came home, their hooves will still never fit. The differences are pretty subtle. It's not like the soft bushings feel like marshmallows and the hard ones feel like granite. It's more like the difference between hard and soft skate wheels. It's there, but it's not slapping you in the face. Heelcup: One thing you're going to notice when you try to step out of a pair of Now bindings (if not right when you step in) is how tight the heelcup is. It's the first thing I noticed when I demoed the IPO a few years ago and it's still the case with this pair of Drives. I like it, but it might be a point of contention with some riders. I feel like it helps response and takes away a possible sloppy power-transfer zone. Just be careful that you don't trip after you unstrap when your heel is still locked in your binding. 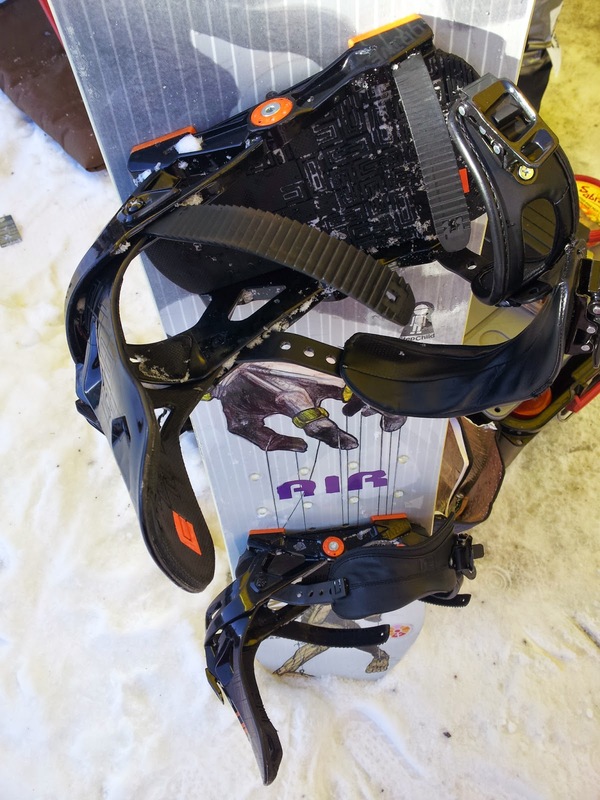 Bottom Line: These bindings are great for anyone looking for an all-mountain freeride setup or even an all-mountain freestyle kit. From big lines to big jumps to soul-carving on hardpack, the Now Drive delivers. The adjustability of different bushing, strap and highback configurations could easily take these from the top of an icy chute to the top of a Quebecois handrail. It's hard to beat that. Thanks for talking some times to write this post. As a engineer opinion Snowboard Bindings concept is really good to know and helpful as well as. I thinks such kind of Snowboard Bindings concept will helps me more on my journey.